(CNS): Government health officials said that they believe the outbreak of dengue fever in Cayman which started early last year has come to an end. No new cases have been reported over the last week and most of the results that have returned from the Caribbean Public Health Agency of recent weeks have been negative with only two case results now pending the public health department believes the seasonal outbreak is over. With this trend, and with the last positive case for this year having an onset date of January 25, it is considered that this season’s outbreak has come to an end, although cases may occur sporadically,” officials stated Monday. Officials have received results from 137 suspected cases of the disease 43 of which were positive, 90 negative and 4 inconclusive with 2 results still pending from the last week of February. Total cases investigated for dengue in 2012 were 94 and 37 of those were positive while this year 45 cases were investigated with just six cases confirmed positive and two more results still waiting. Of the 43 confirmed cases 31 had no travel history and the disease was acquired locally suggesting that Cayman is no longer free of the disease. 26 cases appear to have been transmitted in West Bay three in the capital of George Town and just two in Bodden Town. 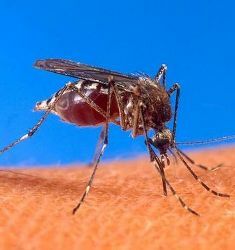 Officials said the next update regarding the state of dengue in Cayman would be in April unless some unexpected activity occurs in relation to the transmission of the fever. "WHO" makes these stupid statements? Dengue fever has run it's course? OK FOLKS. Now we know there's a new outbreak pending! For as soon as they make these statements here comes a new outbreak. Remember the statement, "CRIME IS DOWN". And the next day we had a couple of bank robberies? Watch out for a rash of dengue fever reports! So what is Cayman going to do to eradicate the disease? Just hope for the best next year? The disease is not going to be eradicated by anyone in Cayman anytime soon. The problem with Dengue is that it is transmitted by mosquitoes and there is just no feasible way that we, as an island, would ever be able to eradiatce 100% of the mosquitoes on island. There is no vaccination for Dengue which means that we cannot be protected prior to being bitten. Considering that female mosquitoes can lay their eggs in less than 5 milliliters of water, it is essentially impossible for us to prevent the next life cycle of animals that could possibly transmit the disease. We can, however, limit its spread and the viability of the organisms that may transmit it. Reduce the containers where water can collect and allow for breeding grounds (tyres, caps, empty bottles, puddles). Where possible, add a small amount of bleach to any vessel that may be able to collect water). The government needs to be more vigilant about the spraying programs, especially since we could never drain the mangroves or swamplands, which is where most of the breeding grounds for mosquitoes on our island are. We may never be able to eradicate Dengue Fever completely, but we can surely take measures to decrease it's spreading. Sure you can. You don't have to kill every last mosquito. How do you think yellow fever was eradicated in most places? You may not have to kill every single mosquito, but unlike Dengue, Yellow Fever has a vaccination – which prevents the propagation of the disease within the human host. Dengue has no such deterrant once it has entered the human system, therefore, the only way to get rid of the disease will be to eradicate the organism responsible for its transmission. Why do you think that there is no cure for malaria? Malaria is a much more serious disease, but the transmission is the same, and the fact that there is no vaccination (as of yet) for malaria puts dengue in the same boat. How untrue….check out the CI Hospital Friday or Saturday …someone there has checked in and diagnosed with Denge fever…. Storm in a proverbial teacup. I've been in places where dengue has been endemic for decades and they make less fuss about it than this. There is only one strain of dengue that represents a serious health risk, the other three are no worse than a dose of flu and exposure to them gives you lifetime immunity.